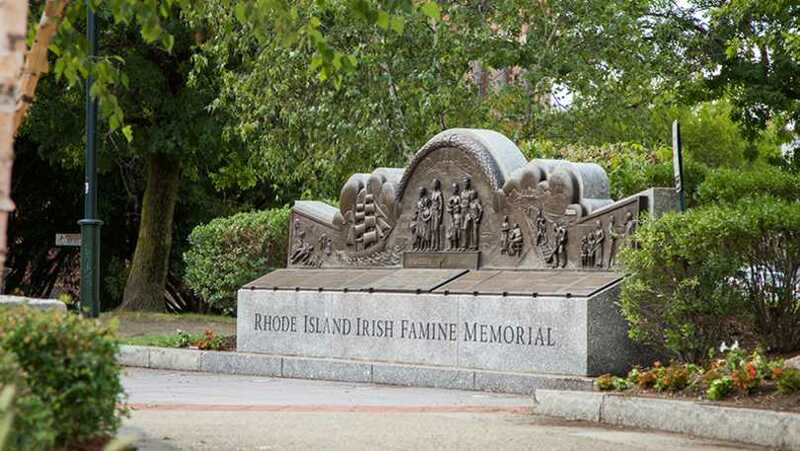 The Memorial Rhode Island's permanent memorial to the two and one-half million victims and survivors of Ireland's "Great Famine" of 1845-1851 was dedicated on November 17, 2007. 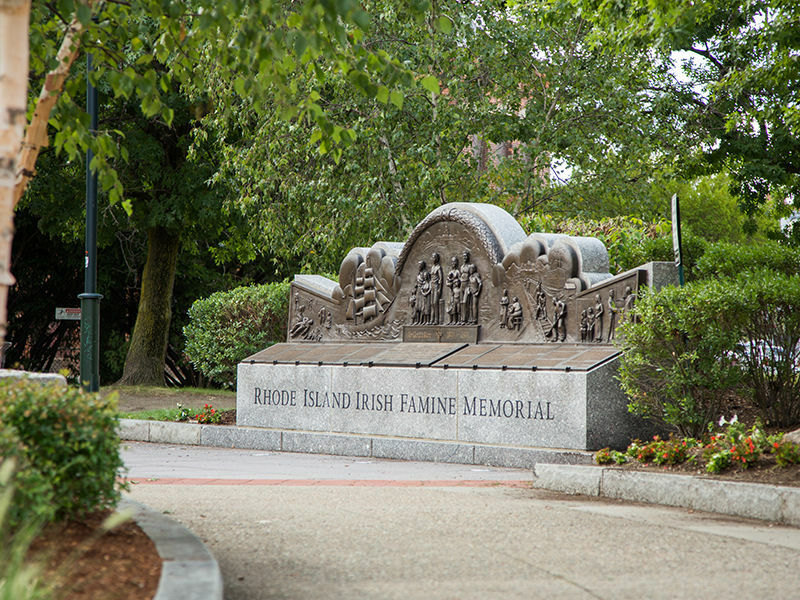 The Irish Memorial occupies a prominent location along the newly restored waterfront at River Walk in Providence. A larger-than-life statue of three Irish figures sits on a round stone base, bordered by a walkway that incorporates the donor-bricks and flagstones. The walkway leads to a commemorative wall that narrates the history of the Famine amid the Irish immigration. The sidewalk beneath the wall incorporates an outline map depicting the coasts of America and Ireland, emphasizing the courageous journey of the Irish people to the United States.